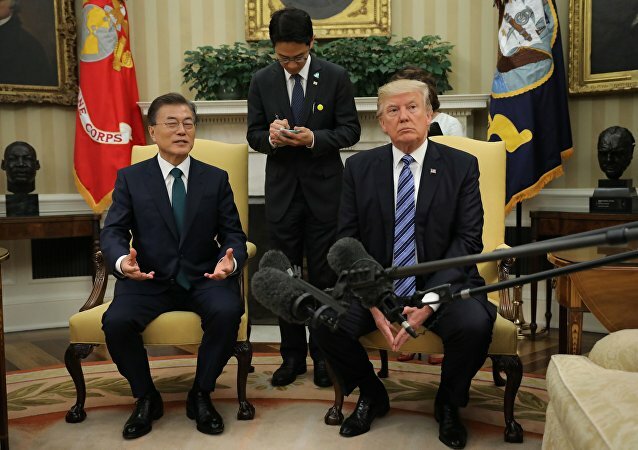 US President Donald Trump and South Korean President Moon Jae-in will meet in Washington on 10 April, the Yonhap news agency reported Friday. TOKYO (Sputnik) - The South Korean president's drop in approval ratings echoed the population's distrust of the government after unsuccessful talks between US President Donald Trump and North Korean leader Kim Jong-un about the denuclearization of the Korean peninsula, according to a new poll. NEW YORK (Sputnik) – US Special Representative for North Korea Stephen Biegun will visit New York City on Thursday to update the UN Security Council on the recent summit between US President Donald Trump and North Korean leader Kim Jong Un, the Department of State said in a press release. 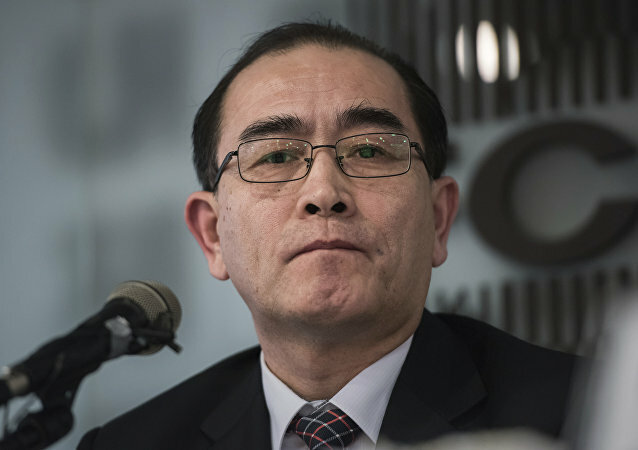 MOSCOW (Sputnik) - This week’s joint drills by US and South Korea are a blatant violation of deals reached at the North’s summits with their leaders, the North Korean state media KCNA said Thursday. 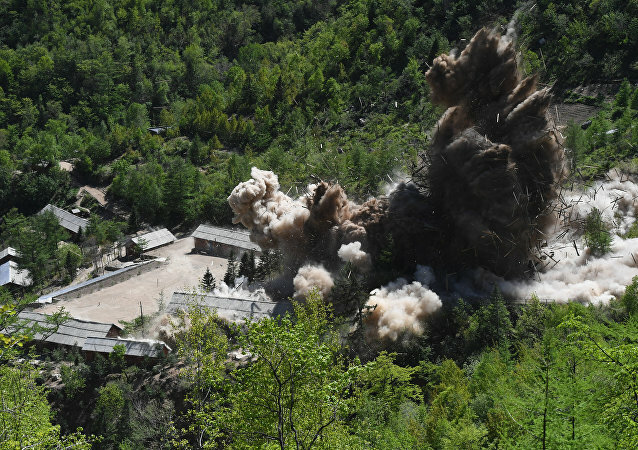 MOSCOW (Sputnik) - Japan is continuing to cooperate with the US and collect information about North Korea's alleged activities to develop nuclear weapons as Pyongyang appears to be restoring part of a missile test facility it previously pledged to dismantle, the Japanese chief cabinet secretary Suga said. 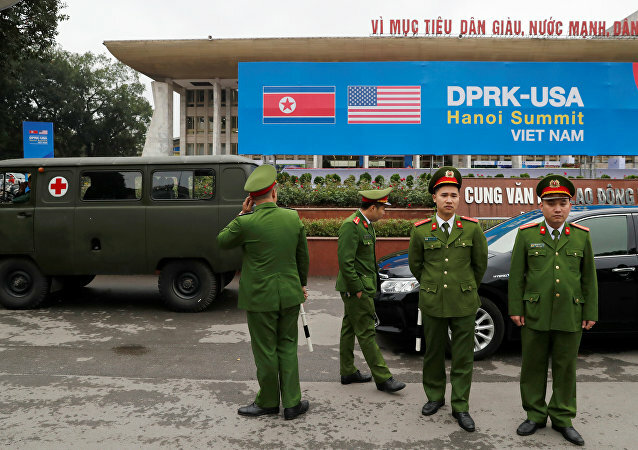 The two-day summit between the leaders of the US and North Korea in Vietnam’s Hanoi ended abruptly on 28 February without them reaching an agreement. 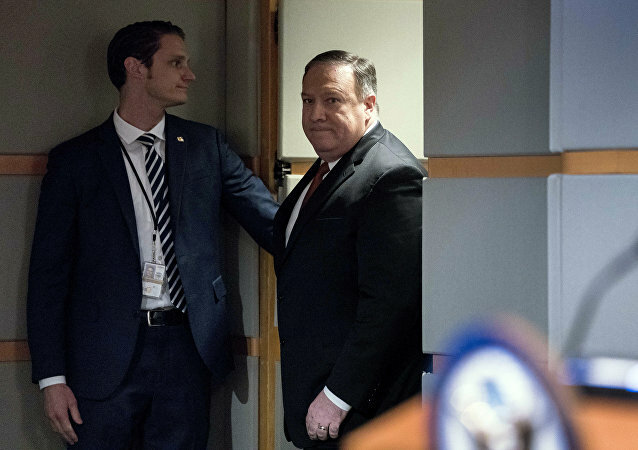 WASHINGTON (Sputnik) - US Secretary of State Mike Pompeo briefed the foreign ministers of China, South Korea and Japan on President Donald Trump’s Hanoi summit with North Korean leader Kim Jong-un, State Department Deputy Spokesperson Robert Palladino said in a press release. MOSCOW (Sputnik) - North Korean leader Kim Jong-un held talks with Vietnamese President Nguyen Phu Trong on Friday during his official visit to Hanoi, local media reported. 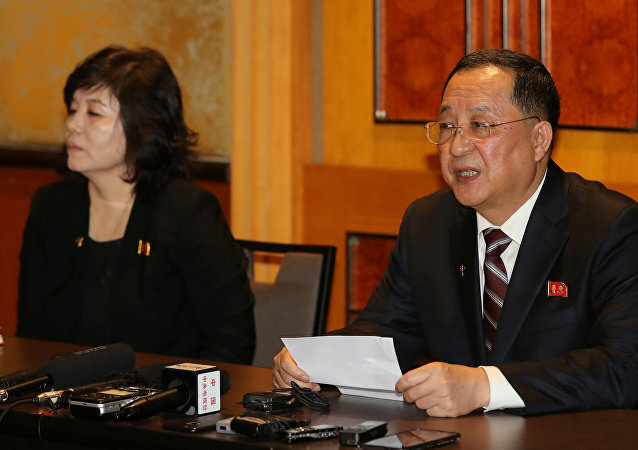 TOKYO (Sputnik) - North Korean Vice Foreign Minister Choi Sun Hee is not ruling out the possibility that North Korean leader Kim Jong-un could change his mind on Pyongyang's denuclearization talks with the United States, the Yonhap news agency reported on Friday. UNITED NATIONS (Sputnik) - UN Secretary-General Antonio Guterres hopes denuclearization dialogue with North Korean leader Kim Jong Un will continue, SG Spokesperson Stephane Dujarric said in a press briefing on Thursday. WASHINGTON (Sputnik) - North Korea's leader Kim Jong-un has no trust in the United States because of Washington’s history of orchestrating regime changes and breaking agreements, US Congresswoman Tulsi Gabbard said in a statement on Thursday. 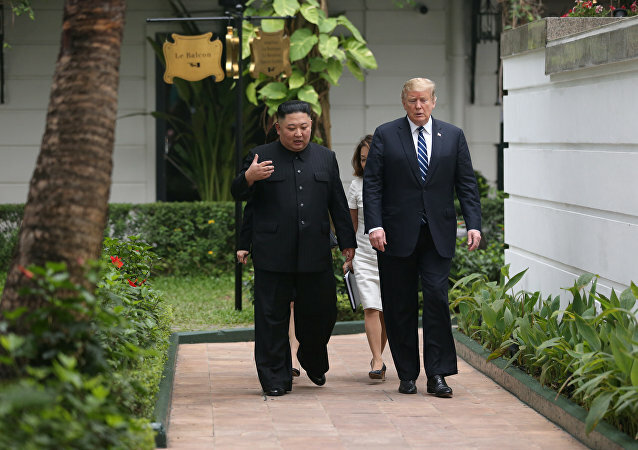 American President Donald Trump has confirmed that no further progress towards denuclearisation has been made during a two day summit in the Vietnamese capital Hanoi with his North Korean counterpart Kim Jong Un. But could tensions between the two nations escalate once more? According to US President Donald Trump, he decided not to sign an agreement after North Korean leader Kim Jong-un demanded to lift sanctions against Pyongyang. 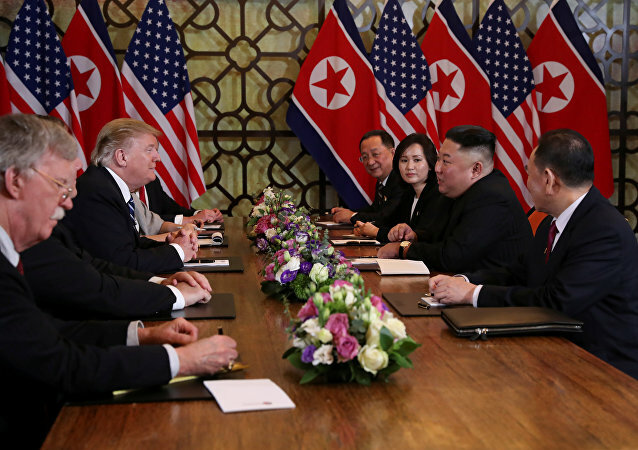 Earlier this week, US President Donald Trump met with North Korean leader Kim Jong-un for the second round of denuclearisation talks in Vietnam's Hanoi. 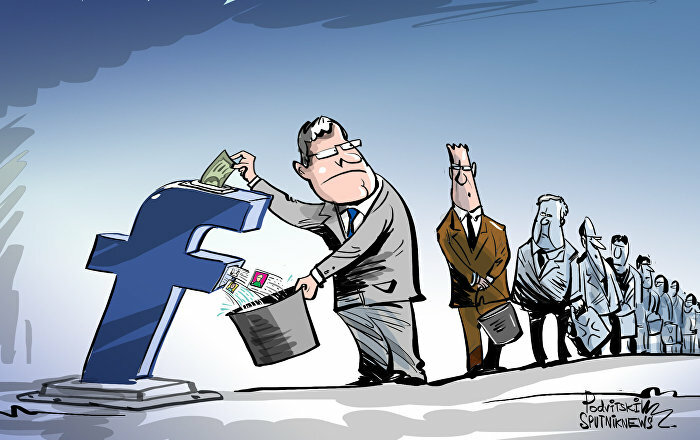 The two sides, however, failed to reach an agreement after Pyongyang demanded sanctions be lifted. 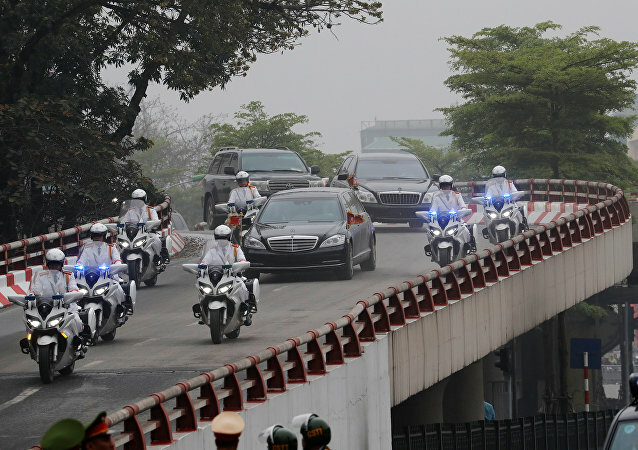 The Vietnamese capital of Hanoi hosts the second US-DPRK summit. The first historic meeting on the denuclearization of the Korean peninsula between US President Donald Trump and North Korean leader Kim Jong-un took place last year.